Health remains on the top of my agenda when it comes to meal planning. I started making sweets last year after joining a few food groups and learning the basics of making sweets there. Thereafter, I have been continuing with my food experiments in my efforts to make the food we savor healthier. 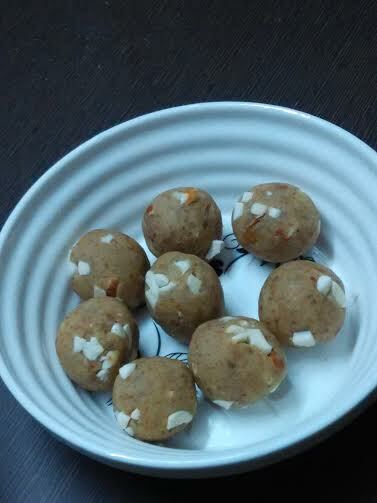 After having tried different kinds of sweets, I tried this super easy, quick, and healthy badam ladoo recipe that uses oats and almonds as the base. Before coming up with the final recipe, I had decided to make almond ladoos that I have made previously. 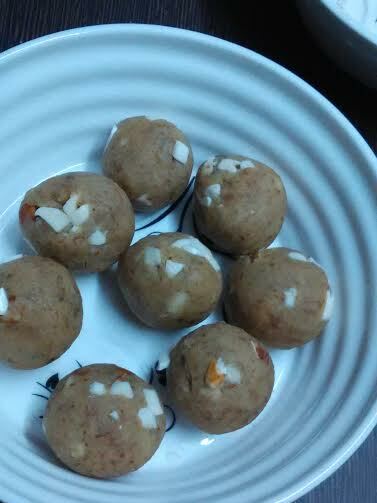 While making ladoos this time, I decided to add oats to make these cute little balls healthier. Take a heavy bottomed pan or a nonstick utensil. Add condensed milk. Throw in elaichi and mix. Drop almond powder into it. When the mixture starts to come together, add oats powder. Add grated gur. Stir well so that everything mixes well. Turn off the flame when the mixture comes together as a ball in the middle of the pan. Take a butter paper/ greased aluminum foil/ greased plate. Pour the mixture over it. 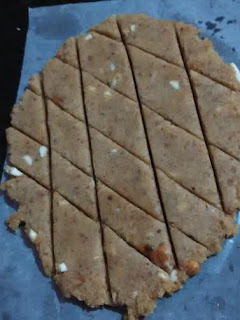 Press with a chakli or heavy utensil. 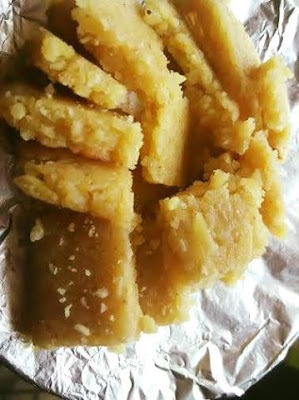 Cut into burfi shape or give the shape of ladoos. I sprinkled chopped almond pieces over the dough.